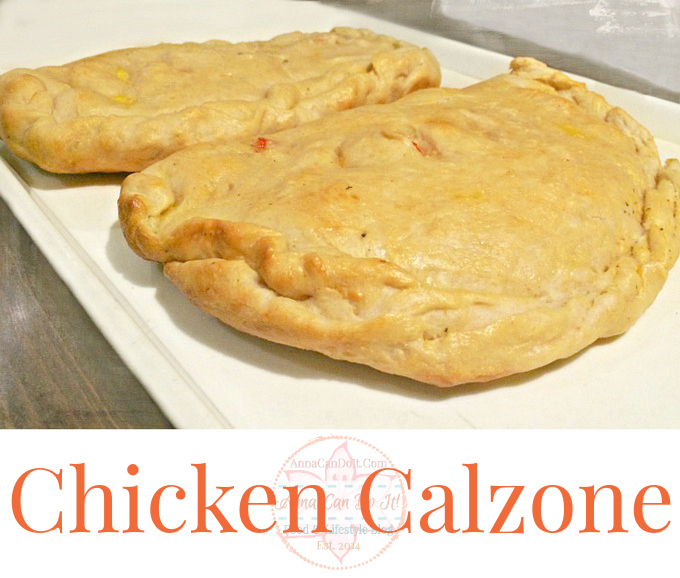 Simple, crunchy and delicious Chicken Calzone with mozzarella and bell pepper. I know it’s not a fast food if you make your own pizza dough, but believe me, it’ll worth it! I used this dough recipe in my pizzas and they’ve never let me down so far! 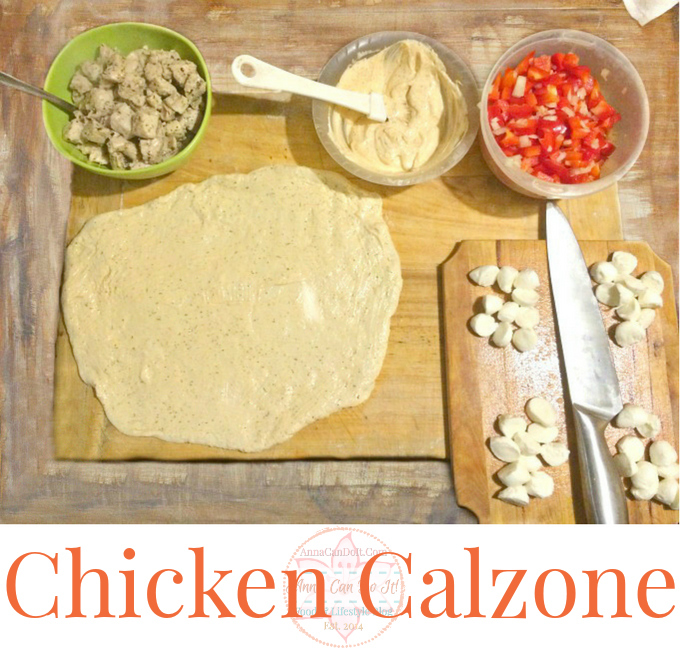 What I love about pizzas and calzones the most is that you can completely customize it to your taste! So, if you don’t like chicken, go ahead, use pork or beef or fish oor even seafood. The cheese is customizable too, so switch from mozzarella to feta or cheddar or blue cheese or camembert or any cheese you like! I chose bell peppers because they’re fresh, crunchy, sweet and full of vitamins and flavors, but you can use any other veggies you like! 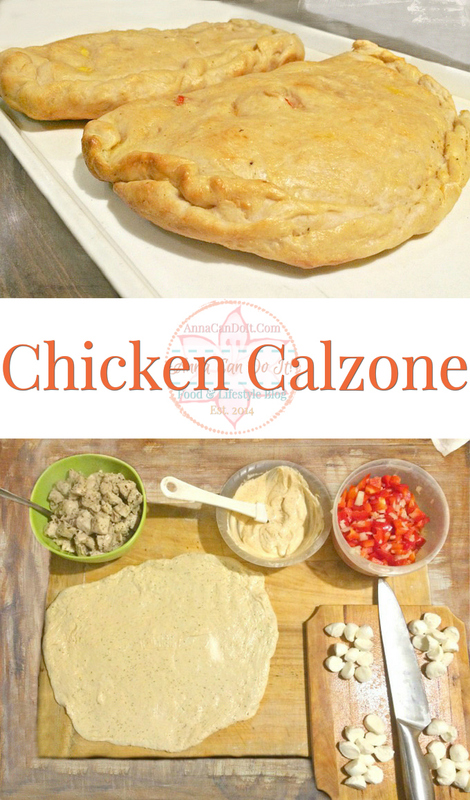 Simple, crunchy and delicious Chicken Calzone with mozzarella and bell pepper. Pour 1 cup warm water into a bowl, add a pinch of sugar and put the yeast in it. Let it rise for 10 minutes. Meanwhile, dice the chicken. Add the garlic and the spices. When the yeast is ready, add the remaining ingredients and knead it. Add more water/flour if needed! Let the dough rest for 20-30 minutes! While the dough is resting, fry the chicken in a little oil. Dice the bell pepper and the mozzarella. Mix the sour cream with the spices. Cut the dough into four smaller pieces (doughs). Brush them with the sour cream, add the chicken, bell pepper (add some extra salt if you need, bell peppers are sweets) and the mozzarella. Fold them in halves! Cut the top so the steam won't blow it up. Bake them for 20-30 minutes. 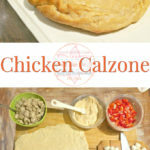 What is your favorite pizza topping/calzone filling? Do you prefer to make the dough yourself or buy it?